I heard this saying the other day. I can't remember in exactly what context it was said, but it was something that definitely resonated with me. 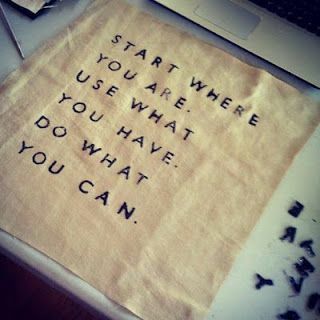 And it is true, 'We do all have to start somewhere...'. Where that may be is upto us. We are the ones who have that control. Sometimes it may feel as though it is slipping out of our hands, but stop, breathe, and take another look. You still have the reins in your hand, you are still in control. But that's something I had certainly forgot up until this week. When I truly remember it, it tends to stick around for a long time. And I remembered the other day just how long I have made it. I made it a total of nine moths before crashing out, and that's not bad at all, is it? I don't think so, and in fact that's one of my best attempts. But then I remembered something, the things that got me through I had lost. I had stopped working out and I no longer had the faith and confidence. And these things are vital for how I got to where I am today. So, here's to the next stint. Let's hope it lasts as long as the last. 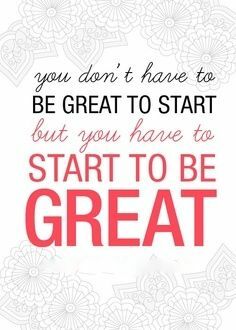 And if you are thinking of giving up, remember, 'Everyone has to start somewhere' and make that day today. Go on, you know you want to...I know I do. It's not about where you are right now, or where you've been for however long, that's just temporary or in the past. It is about where you are going, and that's up to you.